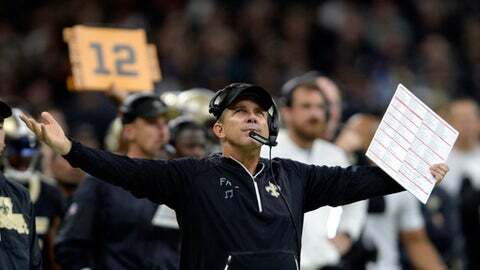 NEW ORLEANS (AP) It’s looking increasingly like Sean Payton and the Saints’ scouting department found a game-changer with their top overall draft choice last spring. New Orleans’ defense desperately needed an elite play-maker after ranking no better than second-to-last in the NFL in yards allowed per game during the previous three seasons. They bet cornerback Marshon Lattimore would be that type of player after a strong 2016 campaign at Ohio State – and it has paid off considerably. Lattimore’s second interception of his rookie season sealed the Saints’ tense, 20-12, victory on Sunday as New Orleans extended its winning streak to five. Two weeks earlier, Lattimore returned his first-career interception for a touchdown in a victory over Detroit. Moments before his interception, Lattimore said he anticipated a deep throw to Tre McBride, who’d been the Bears’ top receiver in the game. The rookie also noted he was eager to redeem himself for an earlier interception chance that he dropped. ”I had to come back and make a play for the team and seal the deal,” said Lattimore, who was drafted 11th overall. He added that his adjustment has been made easier by a secondary that doesn’t seem to resemble a position group that struggled for several seasons before he arrived. If not for two late turnovers by the Saints offense, the game might not have been nearly as close as it was. New Orleans held Bears rookie quarterback Mitchell Trubisky – who was drafted second overall – to less than 50 percent passing. He was 14 of 32 passes for 164 yards in his fourth start. ”We’ve just got to go back to the drawing board,” Wright added. While Chicago dipped two games below .500, they have reason for optimism regarding how competitive they might be after returning from next weekend’s bye for their final eight games. They’ve won two of four and both losses in that span were by one score. Furthermore, they stayed with the Saints despite a pivotal play going against them in multiple ways when veteran tight end Zach Miller dislocated his knee on what was initially called a touchdown catch, only to have the third-quarter scoring play overturned on video review. The Bears stalled two of the Saints’ first three Drives with third-down sacks by defensive tackle Akiem Hicks and outside linebacker Leonard Floyd. During the Saints’ previous six games, Brees had been sacked five times combined. New Orleans’ defensive front got pressure as well, sacking Trubisky twice. One sack by rookie Trey Hendrickson pushed back to 48 yards and field goal attempt that Chicago’s Connor Barth missed late in the first half. Saints sack leader Cameron Jordan shared the other take-down of Trubisky with safety Kenny Vaccaro. Although Saints kicker Wil Lutz hasn’t made everything, he seems to come through on important kicks, including two from 45 and 49 yards in the second half against Chicago. He’s now 15 of 18 on field goals this season with all three misses from beyond 50 yards and one from beyond 50. With the Bears struggling to identify a No. 1 receiver, McBride made a case for himself, catching three passes for 92 yards. Two off those grabs were third-down conversions and the other was a 45-yard catch and run that set up Chicago’s first field goal. He could be relied upon even more now that Miller is out indefinitely. Since tying an NFL record with no turnovers through their first four games, they now have turned it over in three straight games – seven times in all after Ingram’s two fumbles against the Bears.